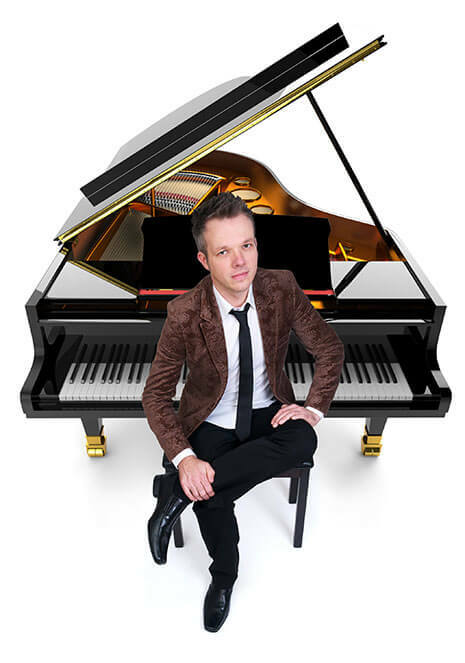 Every wedding is unique – as your wedding pianist it’s my job to reflect the personal style of your wedding. You can’t beat live piano music for a wedding ceremony – it creates a real sense of occasion in the ceremony room, and most particularly for your bridal procession. I always create a unique piano version of your chosen bridal entrance song specially for you – perhaps playing the intro and verse as your bridesmaids enter and then moving into the chorus once they’re in position, adding extra impact for the entrance of the bride. On the day I will be watching and adapting what I play so it’s always the perfect length and draws to a natural close once you’re ready at the front – much better than the awkward stop of pre-recorded music. I’m always happy to learn your choice of songs for the bridal procession and your exit as husband and wife, or for a real wow factor you might want to commission unique bridal entrance music written specially for you. I can also play background piano as your guests arrive and during the signing of the register. Background piano music adds a real touch of class to your drinks reception, whether inside or outside. Or you may want the unique ambience of a tinkling piano during your wedding breakfast – the choice is yours. If your wedding venue doesn’t have a suitable piano, I can provide an electronic piano which perfectly recreates the sound of a grand piano – either a standard keyboard-style piano at no extra charge, or you can hire my beautiful high-gloss black mini grand piano. If you’d like me to play piano for your wedding, or for friendly advice about any aspect of music for your wedding day, please get in touch at any time using the contact details below.